156.95 Acres - 3 Barns with 41 Stalls - Covered Kraft Walker with Arena Space & 8 Stalls - 6,600 +/- SF Brick Home - Inground Pool - $3,389,000. 900 +/- Acres - 100 Stalls in 4 Barns - Over 30 Miles of Plank Fencing - Tremendous Road Frontage - 2 Employee Houses - $7,155,000. 79 +/- Acres - 26 Stalls in 3 Barns - 100' x 200' Indoor Riding Arena - 100' x 200' Outdoor Riding Arena - 3 Bedroom, 2 Bath Manager's Home - $1,250,000. 50 +/- Acres - Tremendous Frontage on 2 Roads - Future Exit Strategy - 2,300 +/- SF Farm House - $690,000. 2.41 Acre Lot in Iroquois Hunt County - $75,000. 31.8 Acres - 2,887 +/- SF Home with 4 Bedrooms & 2.5 Baths - Live the Country Life! $450,000. 4 Bedroom and 3 Bath Raised Ranch with 2,346 +/- SF - 2-Car Garage - Privacy-Fenced Back Yard - $235,000. 36 +/- Acres - 17 Stalls in 2 Barns - 100' x 200' (30.48m x 60.96m) Indoor Arena - 4,200 +/- SF Main Residence - Manager's House + 2 Apartments - $2,150,000. 21.44 Acres - 11 Stall Horse Barn - 375 SF Lofted Apartment - 100' x 175' Outdoor Ring - $695,000. 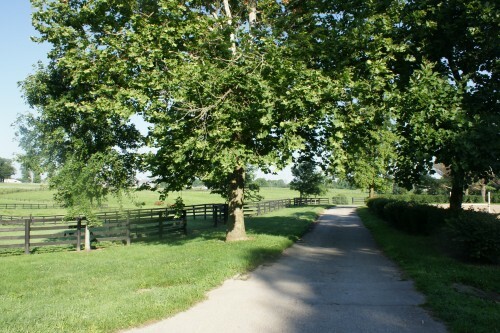 73 +/- Acres - 33 Stalls in 2 Barns - Main, Manager, & Employee Housing - Now Reduced to $1,350,000.